A preliminary report by the Health Department examining the death of a former resident of a long-term care facility says there were problems with wound care at the home. A preliminary report by the Department of Health and Wellness examining the death of a former resident of a Halifax long-term care facility says there were problems with wound care at the home. Chrissy Dunnington was 38 when her family moved her into Parkstone Enhanced Care, a facility owned by Shannex, two years ago. On Jan. 28, 2018, she was transferred to the Queen Elizabeth II Health Sciences Centre. When Dunnington was admitted to the hospital, she was diagnosed with sepsis, which hadn't been previously been diagnosed. As well, she tested positive for influenza, had a urinary tract infection and had a bone infection that stemmed from a bedsore that measured five centimetres by five centimetres and was deep enough that a bone could be seen. No nurse was consistently involved in managing the wound and overseeing Dunnington's wound treatment. A process for consistent monitoring and oversight of wounds was not in place. ​Staff said Dunnington was repositioned every two hours, which is in line with wound-care treatment, but there's no evidence this occurred. 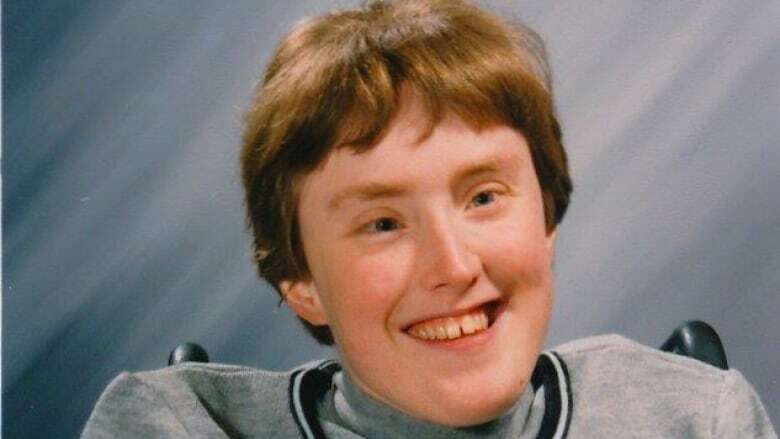 Dunnington died March 22 at the QEII Health Sciences Centre. Now that Halifax Regional Police are investigating to see if the death was a result of criminal negligence by staff at Parkstone, the Health Department has put its investigation on hold until it can speak with police. Bob Lafferty, manager of investigation and compliance with the department, said it wants to give police the first opportunity to interview witnesses. "We don't want to reach out to a potential witness or someone who may have critical information for a criminal investigation and we don't want to taint that process. We want to maintain the integrity of the criminal investigation," said Lafferty in an interview on Monday. "Our concern is oftentimes when you interview people over and over and over you may not get the full facts or the full story straight, you know, as you repeat it continuous times." Dorothy Dunnington, Chrissy's sister, said the family only learned through the media that the investigation was on hold. The family is disappointed with what it said are many inaccuracies in the report relating to Dunnington's medical history. "We're not sure where this information came from because they never got a medical history from family, they never got a medical history from her former doctor," said Dorothy Dunnington. She said the family has been willing to provide information for the investigation, but was not interviewed for the report. Lafferty said he could not comment on who was interviewed for the report as it's an active investigation. Dorothy Dunnington said the family is concerned about a lack of communication from the province, noting the first time a family member received a call about the investigation was Monday morning. The errors in the report are giving the family doubt about what the final report's findings will be. "That was our biggest concern, was how can they make a final decision without having all the accurate information," said Dorothy Dunnington. While the report states that Chrissy Dunnington was admitted in November 2016 having recently completed chemotherapy, in comments emailed to CBC, the family said her advanced and inoperable breast cancer was discovered almost a year later, while under the care of Parkstone staff. The family said her breast was swollen to twice its normal size before staff noticed. "How often was she bathed and washed and how could it go unnoticed for so long?" the family wrote. Dunnington was not a candidate to receive chemotherapy, but was receiving hormonal and antibody therapy. The report also said Dunnington had a history of pressure sores on her lower back requiring treatment. The family disputes that, saying she had one ulcer on her leg/buttocks many years ago, but never had one on her tailbone. The family is also seeking answers about a do not resuscitate (DNR) order that was on Dunnington's chart without the family's knowledge or authorization. QEII staff informed family about the DNR after Dunnington was admitted to the hospital, the family said. The DNR was not mentioned in the report. "[B]y whom was it authorized, and when was it placed on the resident's chart? What role did it play (if any), in decisions around personal care and medical intervention offered to the resident?" Even before the announcement of the police investigation, the story of Chrissy Dunnington was prompting action. Last week, provincial Health Minister Randy Delorey announced his ministry would begin tracking incidences of bedsores at long-term care facilities across the province. Delorey said those reports, along with the regular inspection reports for long-term care sites, would be publicly released quarterly.